Starting Wage: $12.00 per hour. 40 hours per week May – September. Will also consider applications for 40 hours per week June – August. 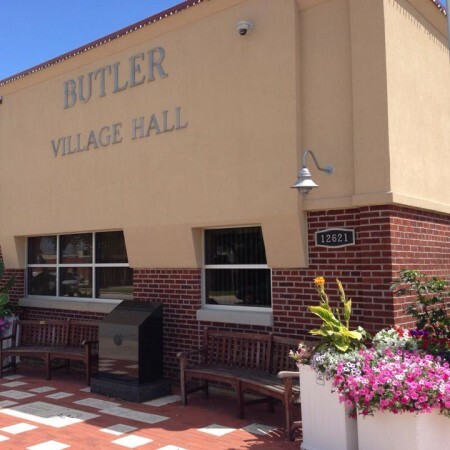 The nature of this position is to help maintain the Village of Butler infrastructure in a professional efficient manner. The Village’s Public Works Department is responsible for maintaining all relevant infrastructures (streets /utilities/ facilities) in the Village of Butler. Maintain right-of-ways and green spaces, fill potholes, seal cracks in streets, remove refuse and debris, cut grass, assist in the repair and maintain water/storm water utility infrastructure, performs asphalt/concrete repair, operate chainsaws and other power equipment. Must be able to interact with members of the public in a professional and respectful manner. Performs park ground maintenance duties such as mowing, raking leaves, refuse/litter removal, etc. Clean restrooms, set up and maintain park items such as picnic tables, benches, garbage cans, and bleachers. Must be able to respond to after-hours call-in duty. Some assigned work may be very routine and repetitive in nature and after a short period of time be carried on without difficulty and only under general supervision. This position requires the flexibility to accept a broad range of job assignments and the ability to interact with the general public in a professional manner. Valid driver’s license at time of employment and an acceptable driving record. Must have the ability to perform all essential job functions of this position. Must be able to exert heavy physical effort in moderate to heavy work, typically involving some combination of climbing and balancing, stooping, kneeling, crouching, crawling, lifting, carrying, pushing and pulling. Must have the ability to work under moderately hazardous and uncomfortable conditions where exposure to environmental factors such as temperature variations, noise, wetness, machinery, electrical devices, traffic hazards and/or dust may cause discomfort and where there may be a risk of injury. Experience operating lawn maintenance equipment and typical power tools. The Village of Butler is an Equal Opportunity Employer. In compliance with the American with Disabilities Act, the Village will provide reasonable accommodations to qualified individuals with disabilities and encourages both prospective and current employees to discuss potential accommodations with the employer.